C-FSOR with AIR-HART, at Kelowna, British Columbia. C-FODK on a photo shoot for Rich Hulina, with C-FSOR (239). Photo Rich Hulina © 2016 - "Seeing Double" - C-FODK (13) pilot:Mike Gate, C-FSOR (239 ) pilot: Doug Zapfe. • IM-1725 Indian Air Force. Delivered 07-Mar-1958. Mar-1958. 41 Squadron (Otters) at Jodhpur or possibly 59 Squadron at Jorhat. Nov-1962 & 1963. Served with 41 Squadron in the Walong Region of North East India supporting troops in the Sino-Indian War. The Otters of 41 Squadron were engaged in flying in supplies to Walong before it fell to the Chinese. When the Chinese subsequently left, the Otters flew back into Walong with supplies for the Army and the civil authorities. 1971. During the conflict with Pakistan 41 Squadron flew a total of 614 operational missions in support of front-line troops. 1976-1980. Attached to 41 Squadron at Palam Air Base, New Delhi. The Otters were phased out in 1984. • Un regd Mike Hackman Aircraft Sales / La Ronge Aviation. Note: Rebuilt and civilianised by T C Aviation at Saskatoon.SK. • C-FSOR Westpoint School of Aviation Inc., Kelowna, BC. Regd 14-Sep-1994 Operated by Trevor Erhardt, dba Air Hart, based Springbank, AB. Canx. • C-FSOR Nestor Falls Fly-In Outposts Ltd., Nestor Falls, ON. Regd 10-May-1996. Canx 22-Aug-2002. Re regd 12-Aug-2003. Power-plant: Winter 2005. Converted to Texas Turbine Otter (conversion # 18) by Recon Air at Geraldton, ON. Otter 239 was delivered to the Indian Air Force on 7th March 1958 with serial IM-1725. After test flying at Downsview, it was packed into a crate and shipped to India, where it was re-assembled and entered service. All that is known of its Indian Air Force service is that it flew with 41 Squadron during 1962/63 and was involved in supporting Indian troops in their battle against the Chinese in the Walong region. It was later based at Palam Air Base, New Delhi during the years 1976 to 1980 again with 41 Squadron. The Indian Air Force continued to fly the Otter until the type was formally withdrawn from the inventory on 31st March 1991 and the surviving aircraft offered for sale. 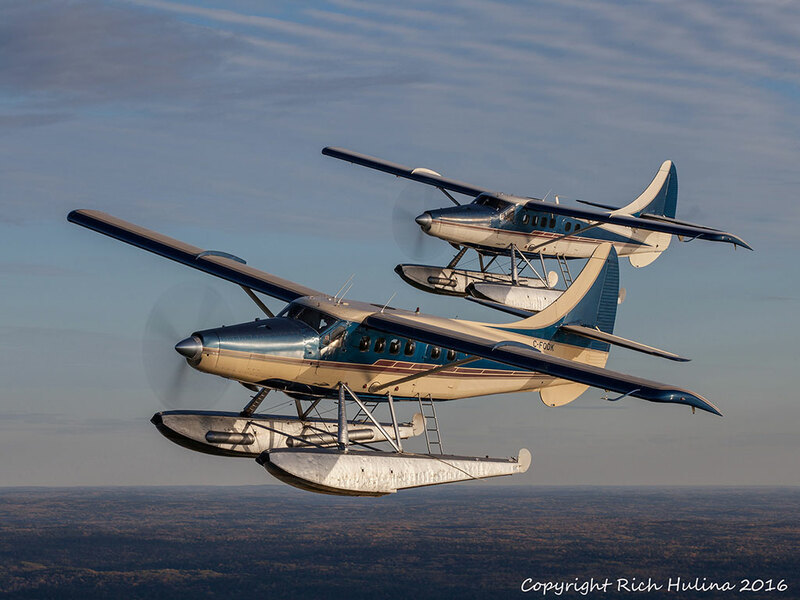 The successful bidders for the Otters were Mike Hackman Aircraft Sales / La Ronge Aviation, who travelled to India to prepare the aircraft to be shipped back to Canada. IM-1725 was located at Barrackpore Air Base and had 6,357 hours on the airframe. It was one of eight Otters shipped from Calcutta by sea to Vancouver and then overland to Saskatoon where they arrived on 30th April 1994. Here the Otter was rebuilt by T. C. Aviation, a new engine fitted, ten passenger seats with individual passenger headsets, a carpet and an attractive white with blue trim colour scheme. 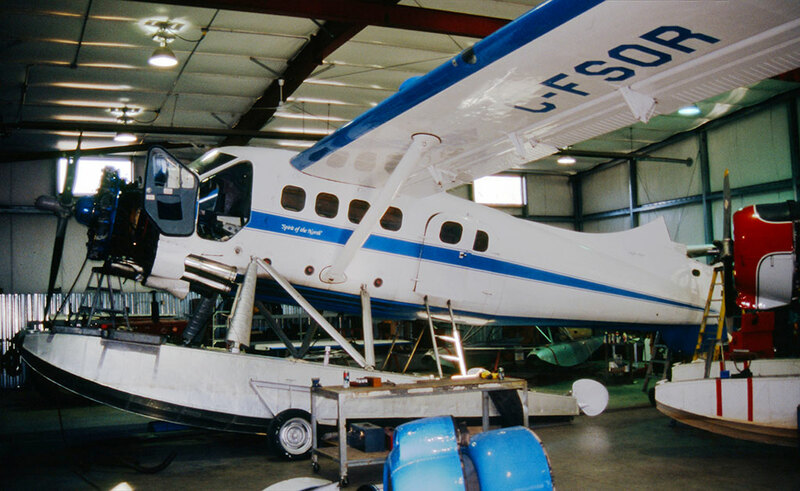 The Otter was registered C-FSOR in July 1994 to Westpoint School of Aviation Inc, Kelowna, BC., and operated by Trevor Erhardt, trading as Air Hart, based in Kelowna as a floatplane on Lake Okanagan. It carried small Air Hart titles on the tail and in large letters “TOURS” on the side of the fuselage. It was named “Spirit of the Okanagan”. Air Hart Floatplane Tours were located at the dock in front of the Grand Okanagan Lakefront Resort and Convention Centre at Kelowna. 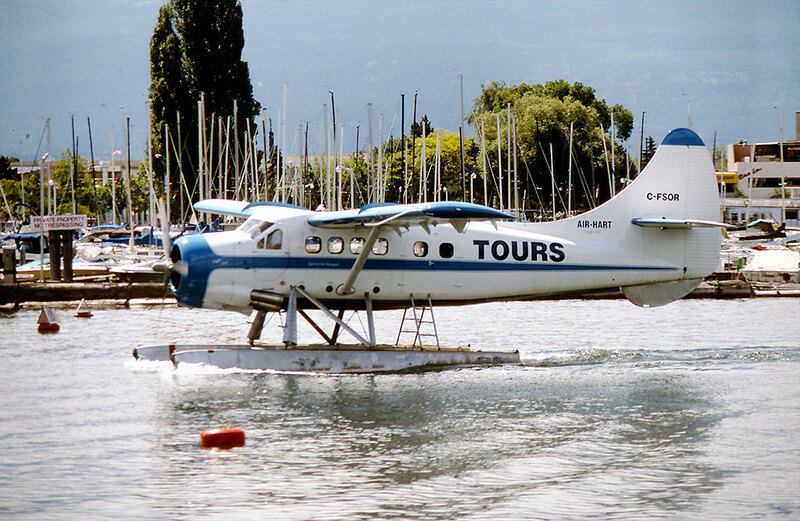 The company offered sightseeing flights over Lake Okanagan from several points around the lake, including Peachland, Summerland, Penticton and Vernon. Air Hart also offered 'Adventure Tours' including fishing trips to nearby lakes and golf packages to the Kokanee Springs Golf Resort. A novel venture was 'air biking' where up to eight cyclists were flown up to a nearby lake and then cycled downhill back to Kelowna. After two years of this activity, the Otter was sold to Nestor Falls Fly-In Outposts Ltd of Nestor Falls, Ontario to whom it was registered on 10th May 1996, named “Spirit of the North”. It flew alongside the company's other Otter C-FODK (13). Their operation has already been described in relation to ODK. In April / early May 2004 SOR was at the Springer Aerospace facility at Sudbury, Ontario where it was repainted into the house colours of Nestor Falls Fly In Outposts, the same colours as worn by Otter ODK. During winter 2005 C-FSOR was converted to a Texas Turbine Otter (conversion # 18) by Recon Air at Geraldton, Ontario and the Otter has flown as a turbine ever since for Nestor Falls Fly-In Outposts.